In high school dual enrollment involves students being enrolled in two separate, academically related institutions. Typically a high school and a college or university. Most of the time it refers to high school students taking college courses. Students enrolled in a high school may be dual enrolled at a local institution of higher learning, such as a community college or university. As students pass their college classes, they receive credit that may be applied toward their high school diploma and also college credit which may be applied toward their degree when they enroll in college. Many of our students will have local options for college dual enrollment, but all of our juniors and seniors who meet academic eligibility can consider the option of Early College and the University of Northwestern, St. Paul. Since 1902, students have come to Northwestern to learn and develop as leaders through Christ-centered, academically excellent education. 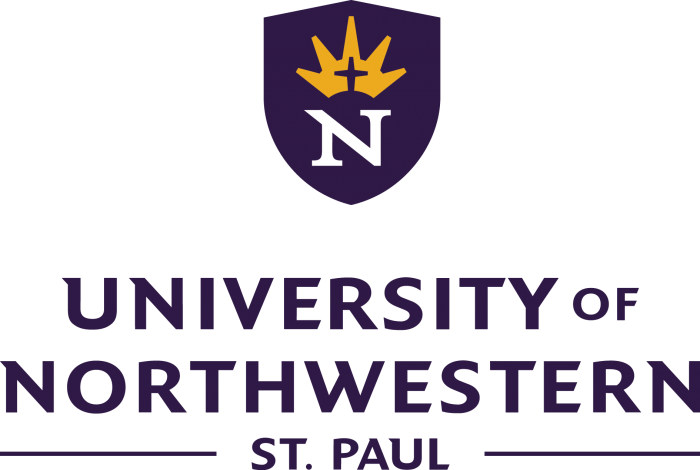 University of Northwestern (UNW) is a Christ-centered liberal arts university located in the heart of the Twin Cities of Minneapolis and St. Paul. All members of the UNW community—students, faculty, staff—profess faith in Jesus Christ as Lord and Savior. Our shared faith brings us together in a powerful way as we learn and grow together in Christ. Contact the NFC Academy Office for assistance and questions about Dual Enrollment. One helpful and important place for students to visit who are planning on attending college is the College Board web site. The College Board is the place to learn about the SAT test which is important for preparing for college. ​Students can set up their own SAT account. Colleges, Scholarships, Campus and Online Degree Programs are a team of veteran professional educators who have developed this and other websites to make it as easy as possible for students of all ages to pursue post-secondary education. While we believe this may offer a good resource, we do recommend that each site be verified carefully. You may already know where you want to go to college, but most students and their families are often looking at various programs for the college to attend. The CollegeBoard, publishers of the SAT, have some excellent tools for you and good instructions on how to make this complicated process seem easier. Use the video as needed to better acquaint the student and parents with more details about making the best college decision. Now that you have made your decision about the college you want to attend use this video for helpful information about paying for your college experience. What you learn here you will then need to find out from the college your select what financial aid may be available for their programs. While student loans are available in many situations, the fewer student loans you consider makes life after college graduation much simpler financially.